We use SlimLipo, a kind of laser liposuction, at our Kansas City practice to help people who seek to rejuvenate certain areas of their bodies but may be intimidated by traditional liposuction. Unlike other fat removal methods in Kansas City, SlimLipo uses a laser body sculpting system. This makes the procedure is less invasive than traditional liposuction. This results in a shorter recovery time and the need for only a local anesthetic prior to the procedure. Some SlimLipo patients report that they’re able to return to work the following day; although recovery varies between patients. In addition to removing unwanted fat, SlimLipo also reduces sagging and creates a smoothly contoured surface. The procedure is ideal for many parts of the body, including the abdomen, back, buttocks, chin, neck, love handles, male chest, thighs, and upper arms. Although SlimLipo can be performed on patients of almost any age, it’s an ideal procedure for younger patients who have higher degrees of skin elasticity but want a less invasive option than traditional liposuction. If you’re curious about how SlimLipo can enhance your physique, schedule a consultation online, or give our office a call at (913) 451-3722. Before undergoing SlimLipo, you’ll be scheduled for a consultation with one of our plastic surgeons. During this consultation, your surgeon will ask you many questions to ensure you are a good candidate for the procedure. You’ll also discuss your medical history, allergies, local anesthesia options, and the risks and likely outcomes related to your procedure. 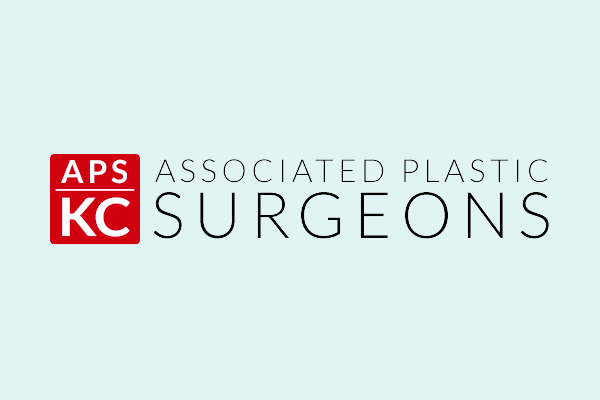 Liposuction of any kind is a highly individualized procedure. Prior to undergoing SlimLipo, your doctor will evaluate your skin tone, elasticity, fat density, and fat distribution. This outpatient procedure will be conducted at our Leawood office. How do I know whether I am a good candidate for SlimLipo? We recommend that all patients undergoing SlimLipo are nonsmokers who are in good health. Good candidates for SlimLipo are adults who are within 30% of their ideal weights, with firm, elastic skin and good muscle tone. It’s important to remember that SlimLipo, or any form of liposuction, is not a treatment for obesity or cellulite, nor is it a substitute for a healthy lifestyle. What does SlimLipo feel like? A local anesthetic will be administered, during which you may feel minor discomfort. During the procedure, however, most patients report no sensation other than mild warmth where the laser is applied. The main attraction to SlimLipo is its short recovery time, especially in relation to traditional surgical liposuction. Many people report being able to return to work the following day; although experiences vary. Your doctor may recommend wearing a compression garment over the treated area to minimize swelling for several days. Will the results of SlimLipo last forever? Your new body contour should last as long as you maintain your weight and level of fitness. 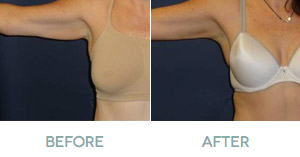 Though a loss of firmness is normal as our bodies age, its effects on your SlimLipo treatment should be minimal.